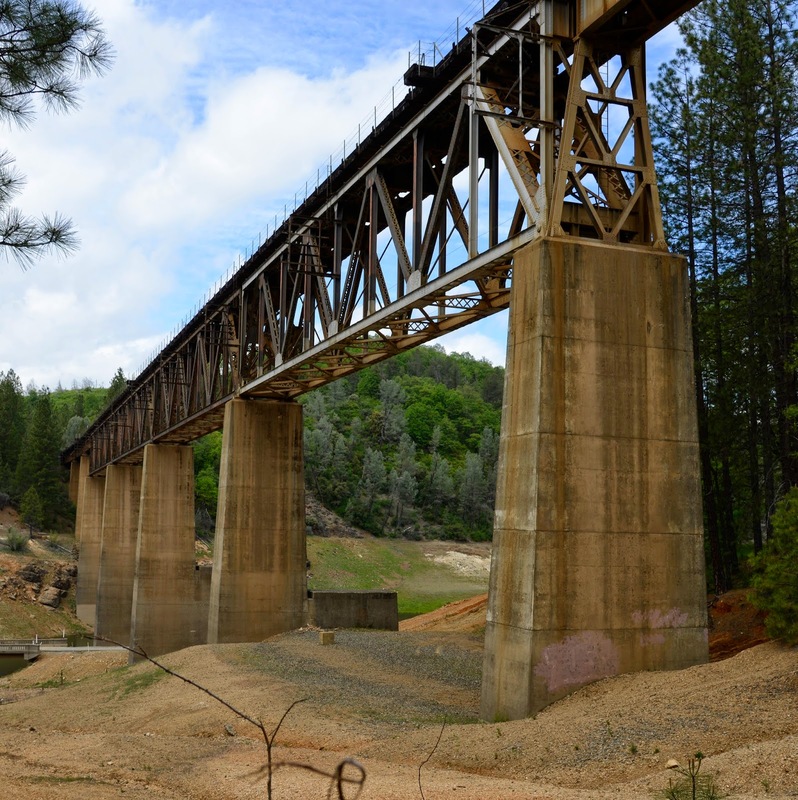 The Salt Creek Bridge is typical of the Union Pacific Railroad bridges around Shasta Lake, with a deep Warren truss built in 1940 to cross the dammed lake on tall concrete piers with the shorter piers from the previous bridge sitting beside them. The truss bridge is composed of four 200 ft long spans with plate girder approach spans on both sides. The effect of the recent drought is apparent by the water stains on the piers showing the previous water depth. Shasta County, California Bridges: Salt Creek Railroad Bridge by Mark Yashinsky is licensed under a Creative Commons Attribution-NonCommercial-NoDerivatives 4.0 International License.